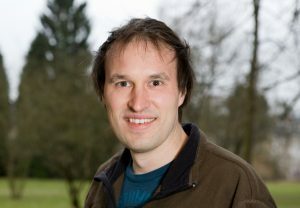 Prof Dr Karsten Hiller was awarded an FNR ATTRACT Fellowship in 2010, with which he brought experimental and computational research in cellular metabolism to Luxembourg. The German national set up the Metabolomics Group at the Luxembourg Centre for Systems Biomedicine (LCSB) at the University of Luxembourg and during the 5 years that followed, the group implemented a high-quality mass spectrometry-based profiling platform and applied their expertise to study metabolism in-depth. The research conducted by Dr Hiller and his team has led to a metabolomics analysis platform at the LCSB, which includes protocols for sample preparation, in addition to mass spectrometry, computational data processing and storage. All of this established knowledge is now open to the Luxembourgish research environment and will, as Dr Hiller points out, undoubtedly support the NCER (National Centre for Excellence in Research) diagnosis initiative in the future. The biggest achievement of the group during Dr Hiller’s ATTRACT Fellowship was the discovery of the metabolite ‘itaconic acid’ and finding out what role it plays in macrophages, a specific type of immune cells in mammals. This discovery – which Dr Hiller emphasises was very much a discovery ‘made in Luxembourg’ – was published in the prestigious scientific journal PNAS, and could now help other researchers make further discoveries in this domain. The work published in this journal was also recognised with an FNR Award for ‘Outstanding Scientific Publication’, which Dr Hiller won in 2014, together with fellow researchers with Dr Thekla Cordes and Dr Alessandro Michelucci. International mobility is a keyword in a researchers career, and brings with it a natural cycle of movement. Once a project is complete, you move on to the next challenge. For Dr Hiller, the next challenge was found in Germany. As his ATTRACT Fellowship came to a conclusion in 2016, Dr Hiller was recruited as the successor of Prof Dr Dietmar Schomburg at the University of Braunschweig, where he has taken on the role as Director of the Department of Bioinformatics and Biochemistry. “Without any doubt, the ATTRACT fellowship was enabling this big step in my career. Due to all the privileges of an ATTRACT fellow, I could develop into an independent research group leader and qualify for the new position. Very important in this regard was the authorization to teach at the University, to supervise master and PhD candidates and the possibility to apply independently for funding. Experimental and computational research in cellular metabolism was brought to Luxembourg with the arrival of Prof Dr Hiller, but it has not left with him. Not only will the work accomplished during his fellowship will have a lasting impact on research in the country – Hiller left Luxembourg with a list of Luxembourg collaborations in his pocket, which includes topics such as looking at particular aspects during cancer development, as well as studying the link between melanoma and Parkinson’s disease. It is safe to say Dr Hiller’s impact on research in Luxembourg is far from over – and that it will continue to grow as the collaborations flourish. Additionally, Dr Hiller has helped further establish Luxembourg’s reputation as a first-class research destination, where scientists can not only benefit from good working conditions, but also make significant contributions to their domains, not only in the Luxembourg context, but also in a global context. Funding to attract outstanding researchers with high potential in strategic research areas in order to set up a research group in Luxembourg.